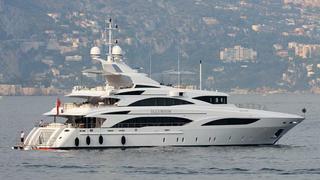 Benetti has launched Illusion some months ago, and she's now delivered to her owners. This 46.55m superyacht, previously known as hull number 246, was designed by Stefano Natucci and is an evolution of the 43m Benetti Diane launched in 2007. The main difference is the design of the wheelhouse, Illusion having vertical windows. Illusion has an interior styled by the duo of Carlo Galeazzi and Argent Design with accommodation for 10 guests in a master suite, two double and two twin cabins. Following her delivery the yacht is cruising in the Western Mediterranean, and is available for charter through Camper & Nicholsons.